There is something inexplicable about The Equalizer 2. 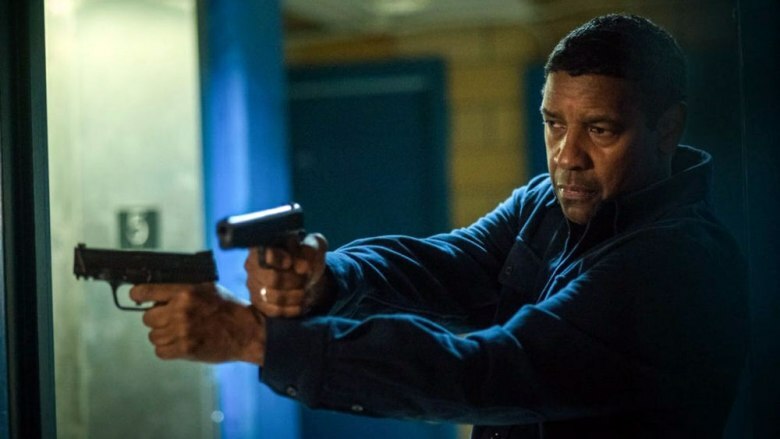 For one, and perhaps most importantly, it is the first sequel that legendary actor Denzel Washington has chosen to take part in. Why this particular project struck his fancy is hard to say. He seems to enjoy the wise man action hero personality. He has a history of collaboration with the film’s director, Antione Fuqua. But the script for The Equalizer 2 couldn’t be called impressive. It structures a feature length film. But the plot slides away from the brain like bland scrambled eggs off of a nonstick pan. There is nothing meaty in the role for Washington to sink his teeth into. He gets a fiery 30-second speech, delivered to his hitman character’s protege Miles (Ashton Sanders). He gets to lay waste to nameless goons while keeping a stoic face. Robert McCall is a cool, bland action character that any actor could play. Of course, this means that Washington elevates the material to a marketable level (the film pulled a surprise upset at the box office in its opening weekend, taking the number one spot over Mamma Mia! Here We Go Again). But it is a deflating experience to watch Washington waste his talents on such a thinly-written character. At the film’s best, it is nice to see the young Sanders go toe-to-toe with Washington. Theirs is the relationship that keeps the film afloat. Otherwise, characters are expendable. There is history between McCall and other pawns in the plot—characters played by Melissa Leo, Bill Pullman, Sakina Jaffrey and Pedro Pascal. Until the plot hits its twist betrayal, though, none of this history translates into meaningful, emotional storytelling. After the twist: the history is a contrivance for the ugly climax. This climax is the saddest aspect of the film. Taking place during the onset of a hurricane, it is a shootout in heavy rain. Instead of using the weather as a means of heightening tension, as is clearly the aim of moving the action to the hurricane-ravaged destination, it adds a gray, hazy filter over all of the action. Its disorienting and visually bland, and it leads to a resolution that doesn’t ring satisfying. Other action sequences in the film come off more dynamic. One set piece, in particular, which involves hand to hand combat within a moving car is a memorable standout. Perhaps the only memorable sequence the film provides. It is a sequence like that one that shows us glimpses of The Equalizer, which is easily a more thrilling low-key action film. These glimpses make The Equalizer 2 come off as a deliberate pot boiler, but there isn’t a proper build of tension moving into the shoddy climax. There are only glimpses.